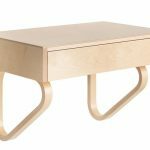 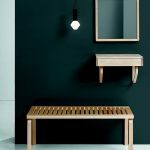 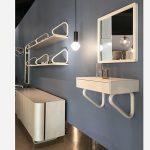 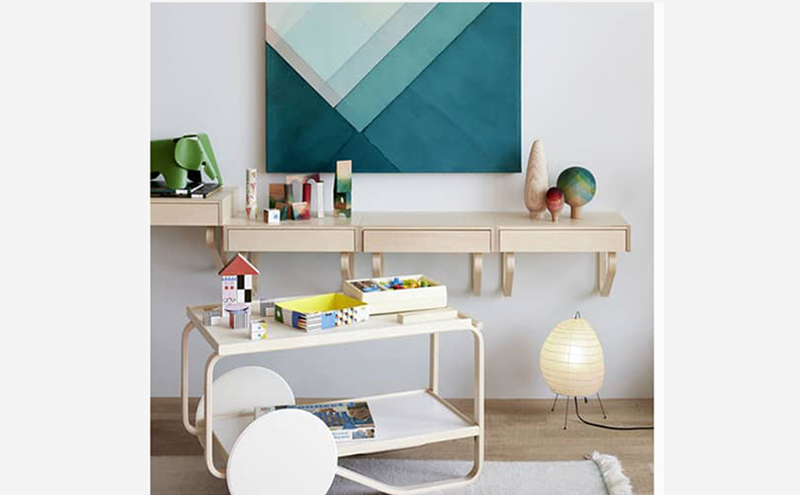 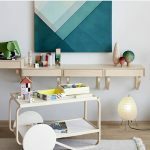 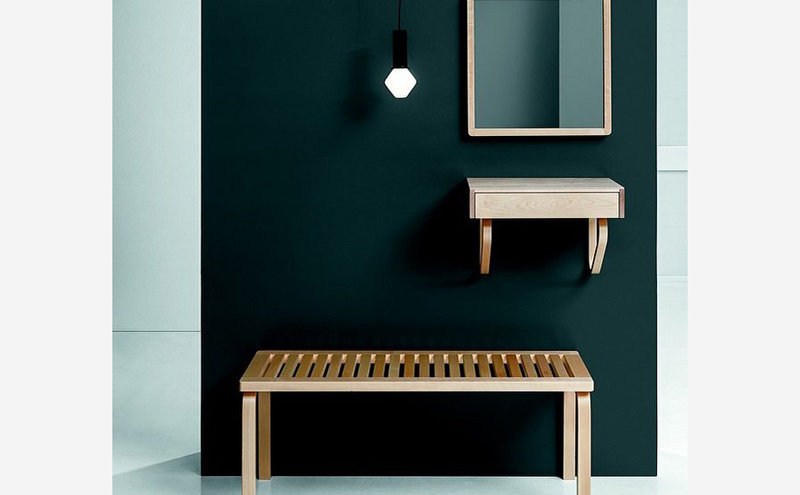 This wall-mounted shelf unit offers a single front-opening drawer, supported by brackets made of looped birch lamella. 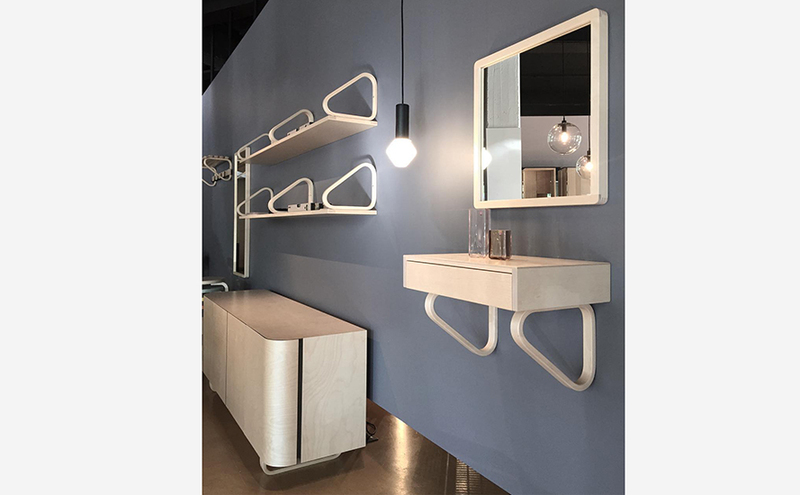 The particular lamella loops used in the creation of Wall Drawer 114B require the strength of two people to bend, and come with a single seam. 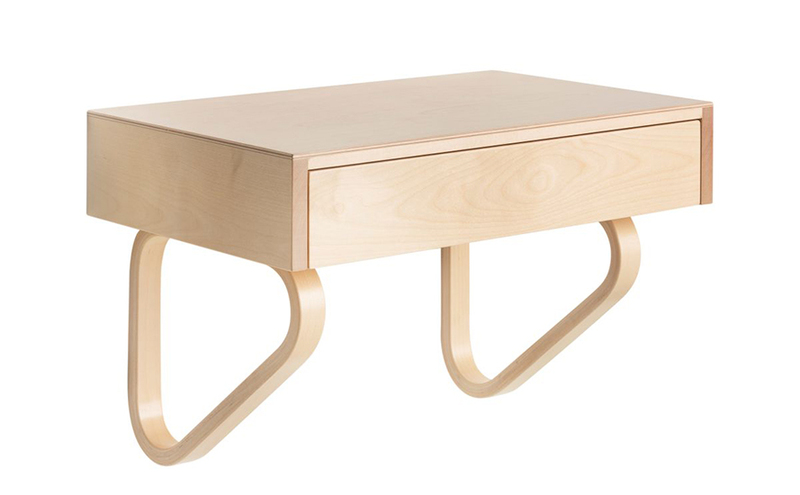 Formerly known as “Telephone Table,” the wall drawer can be found in numerous entrance areas and living rooms.